The Aquarium is teaming up with the Hard Rock Cafe near Faneuil Hall to offer mothers a special day the whole family won't soon forget. Enjoy a hot, yummy breakfast on Mother's Day, Sunday, May 10, at the Hard Rock Cafe in Boston, surrounded by music memorabilia that will rock your mom's world. For the kids, costumed characters will make the rounds, and Aquarium educators will be there serve up ocean information to interest the whole family. Adults dine for $13.95, children for $9.95, and kids 2 years old and younger eat for free. Reservations are suggested; please call 617-424-7625. Reservations are suggested. Call the Hard Rock at 617-424-7625. The best part of this special brunch is that every mom gets a voucher for free admission to the New England Aquarium on Mother's Day! 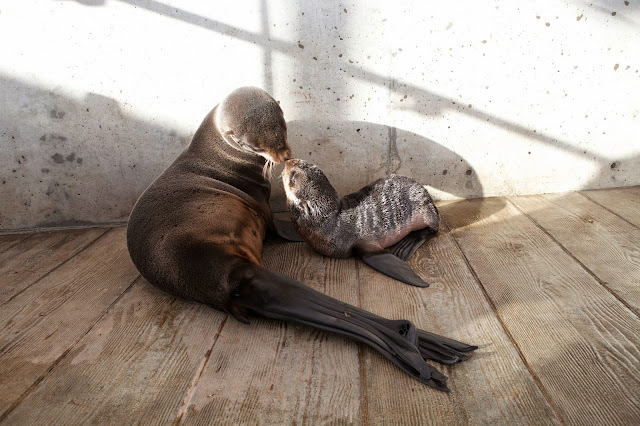 So take your new ocean knowledge and see the mom and daughter pair of Ursula and Kitovi in the marine mammal center and watch the penguins bound, preen and splash in their watery exhibit at the New England Aquarium (lots of moms in this exhibit, too). Help sea turtles, too! Tell them Myrtle sent you. And even though Mother's Day is all about Mom, there is one way you can give back to help sea turtles. 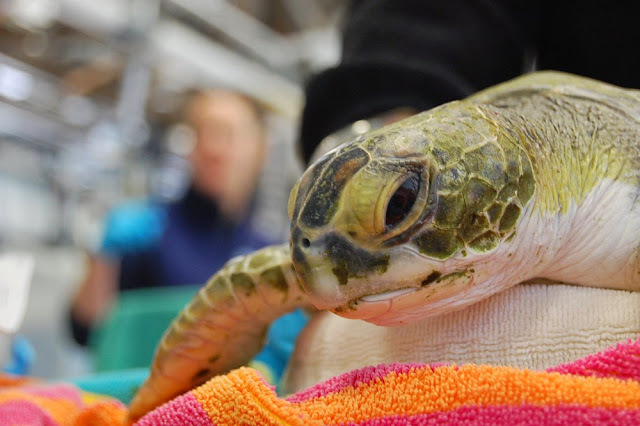 Just tell your server that Myrtle sent you and a portion of your meal will go to support sea turtle conservation at the New England Aquarium. So whether mom is a rock fin-atic or an ocean-lover or both, make this a special Mother's Day that the whole family won't soon forget. Oceans Day Contest: Win DUCK Tour Tickets!